Here it is the new 100% hemp belt !! Bryan came to the ring towards the end of SmackDown and bragged about his victory over AJ Styles and his superiority due to his eco-friendliness, before calling Rowan to the ring. Rowan grabbed a trash can for Bryan so he could dump the WWE Championship in the trash. Bryan would debut a new championship that was much more environmentally friendly than its predecessor. 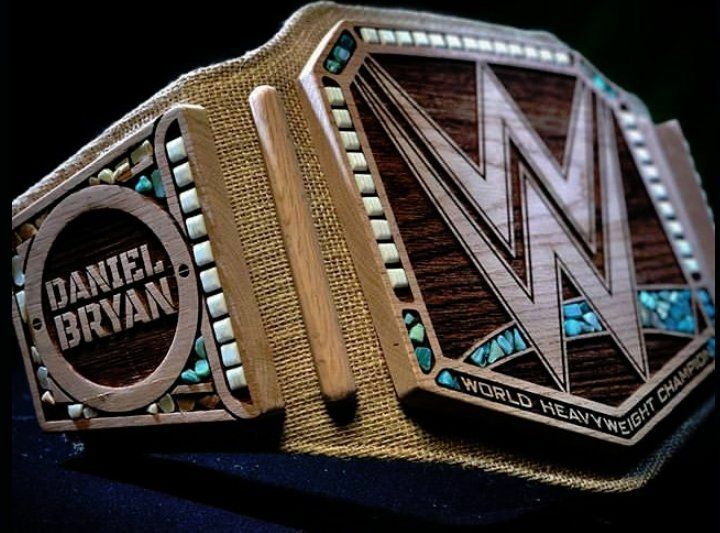 Bryan said the strap for the new championship was made from “100 percent sustainable hemp” and that the wood came from an oak tree before being interrupted by Styles and other challengers for his title. The custom WWE logo and side plates are carved into the wood, but the diamonds and jewels that were a part of the old design were replaced by what appears to be earth stones and wood. The new title was the first custom WWE Championship in nearly a decade and joins many of the past custom designs used in the company’s history. The earliest custom design was worn by Hulk Hogan who had a picture of himself on the tile in 1986 and was followed up by a custom belt for the late Andre the Giant heading into WrestleMania III. NextWe’re Here For The Underground Weed Party Say Undercover Cops …. Duh !